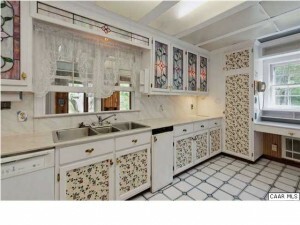 The one room of the house that really begs to be changed is the kitchen. First of all, there’s no fridge and the stovetop doesn’t work. And secondly, it’s kind of an eyesore. 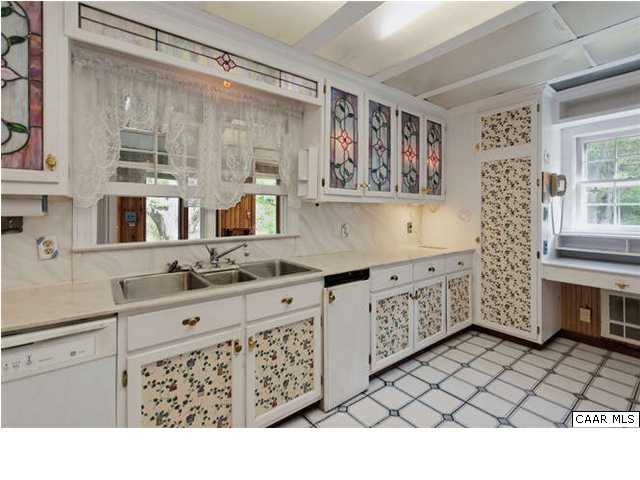 Fluorescent lights in the ceiling, busy wallpapered or stained glass cabinet doors, and cracked Corian countertops aren’t exactly my personal aesthetic. David and I set a budget for the kitchen of $9,000. 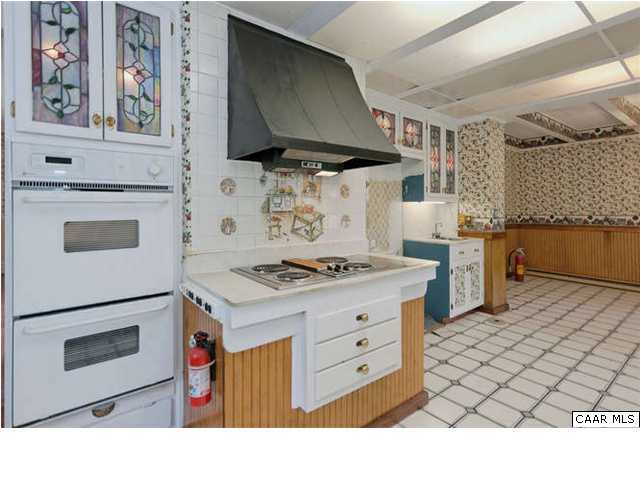 That’s a lot of money for us, but we’ve also never renovated a kitchen before. Consumer Reports says a middle-of-the-road renovation costs more than $57,000– and honestly for that amount of money I feel like I could redo the entire house. I want a kitchen that is functional but also something I could see every day and enjoy being in it, too. 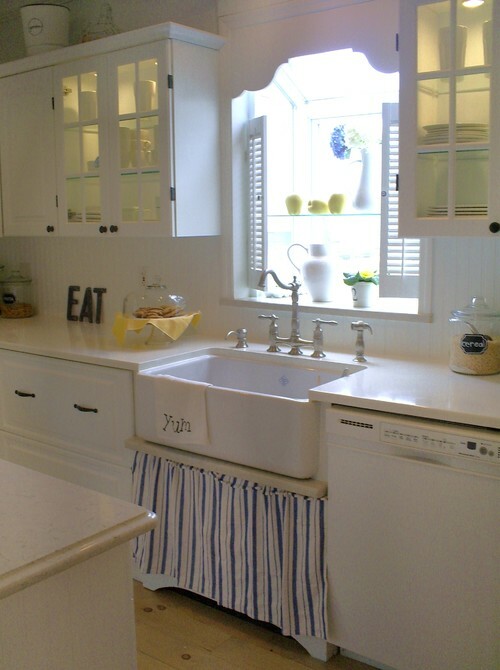 I love the yellow painted cabinets, see-through glass doors, blue accents, and the overall openness of this design. 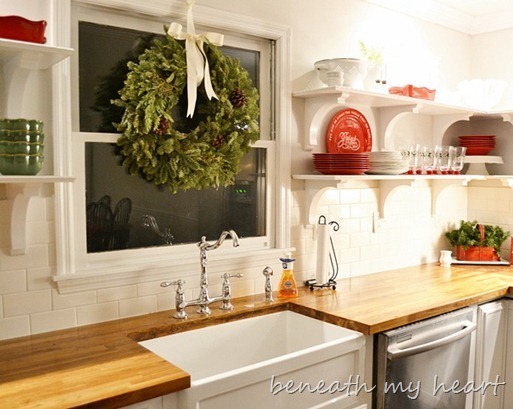 This kitchen farmhouse sink with adorable skirting underneath is absolutely adorable! 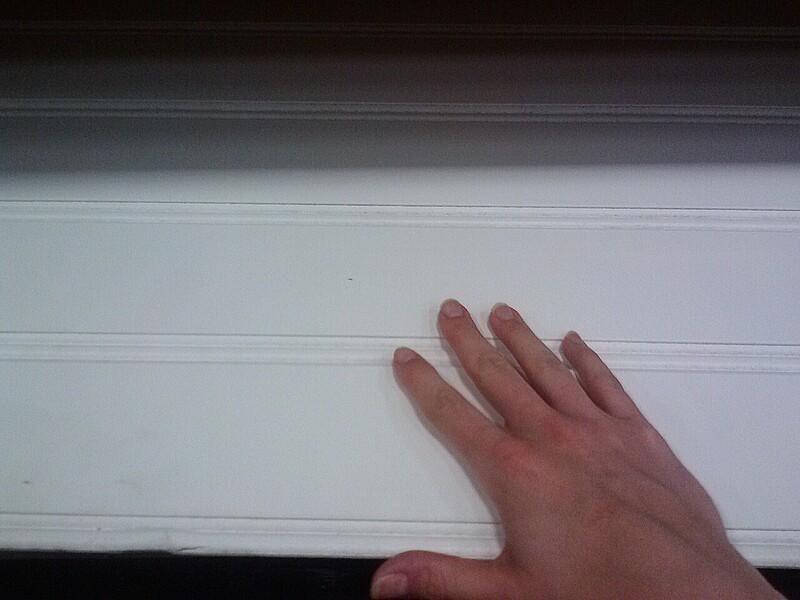 I love the idea of a beadboard backsplash… I bet that’s affordable. Wow– loving the custom touches in this kitchen! Look at the microwave under the countertop and the built-in wine storage! This kitchen is a sweet balance of warm (with the butcher block countertops) and modern (with the stainless steel appliances). Hmmm. 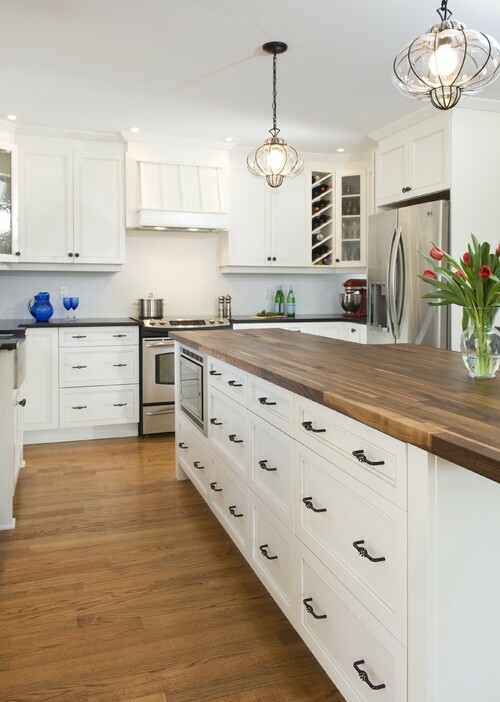 Traditional Kitchen by Ottawa Kitchen and Bath Fixtures Laurysen Kitchens Ltd. 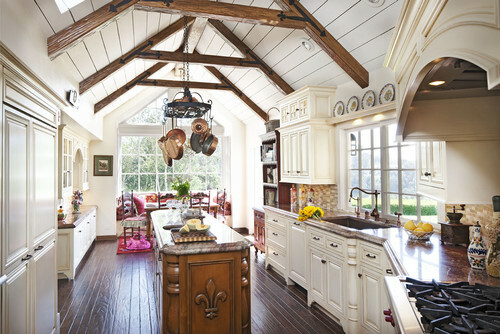 If only I had the ceiling needed for this kitchen! Check out the beams and the wood boards in the ceiling. Now THIS is my taste. The functionality, style, and warmth all together in one amazing kitchen. 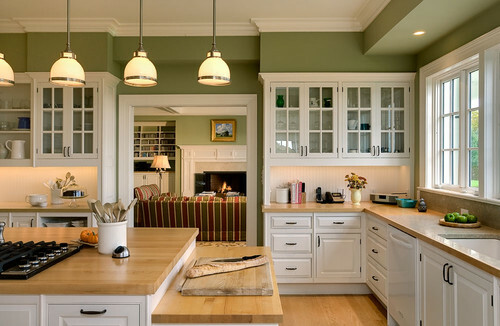 I never thought of the color green in a kitchen but it is really working here! Difficult to decide! They all look fantastic. Perhaps I would prefer the last one. Three years ago I had to choose a kitchen and went from store to store. It was so hard to decide, especially with a limited budget! 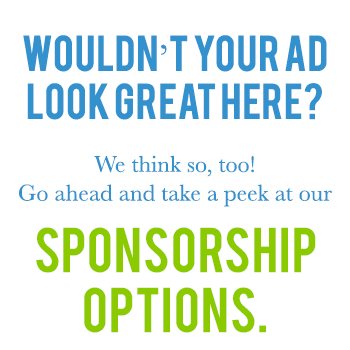 It is hard to decide… but it’s kind of exciting too! Hopefully it will end up looking as good as one of those pictures up there!